Is Mayo Dairy: Can You Eat It If You Are Lactose Intolerant? Is Mayo Dairy: Can You Eat It If You Are Lactose Intolerant? →Is Mayo Dairy: Can You Eat It If You Are Lactose Intolerant? Mayonnaise is a popular addition to sandwiches and can also be used as a dip for chips or salad dressing. It is packed with essential vitamins and nutrients and it makes our sandwiches more delicious. It appears with a whipped texture and milky appearance and it may be the reason why a lot of us are confused if mayo is considered a dairy food item. At some point, all of us have wondered: Is mayo dairy? Given its physical appearance, some would think so. In this post, I am going to shed some enlightenment regarding the above question, how it is made, what it is made of, some of its health benefits and uses. I hope that after you read this, you will be well informed about mayonnaise. A lot of restaurant waiters and staff seem to be confused when asked by customers if their food contains dairy. People who are lactose intolerant cannot consume any food item that has dairy. This is the reason why it is important to know if mayonnaise does contain dairy, to prevent people from eating what they are not allowed to eat. So, is mayo dairy? The answer is no. It does not contain lactose or dairy. In fact, it does not contain any kind of milk product at all. To better understand, I should give you a run down of mayo’s ingredients. However, you should be informed that some mayonnaises do have cream included as an ingredient, which makes that type of mayo, dairy. Before we begin, you should keep in mind that in order for a food item to be considered dairy, it must have milk in it. Even though eggs, which are a major mayo ingredient, are commonly associated with dairy, they are not. It is important that you know what makes up mayo so you can know for sure that it does not contain milk at all. Regular mayonnaise is made of water, eggs, soybean oil, salt, vinegar, lemon juice concentrate, sugar, natural flavors and calcium disodium. Some brands have oleoresin paprika, cider vinegar, dried garlic, and onions. If you noticed, mayonnaise does not contain milk, which gives us a reason to believe that it is not a dairy product. 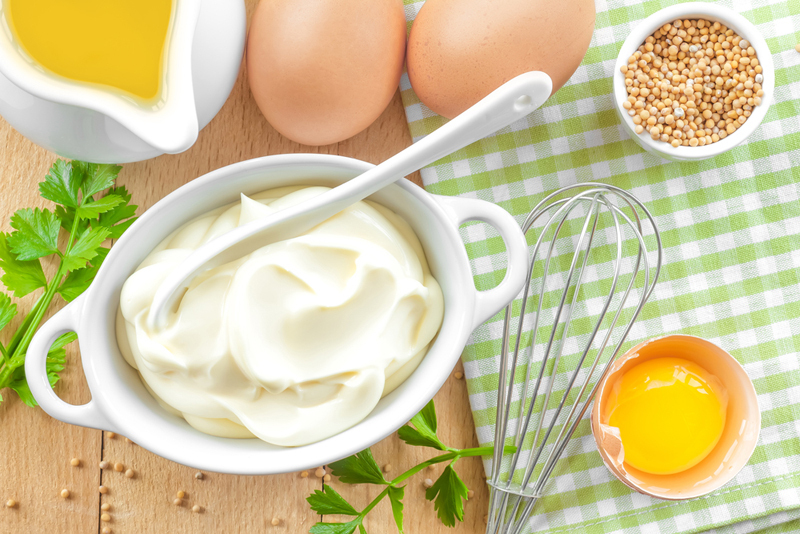 Light mayonnaise is made of soybean oil, water, modified food starch, sugar, eggs, salt, lemon juice concentrate, vinegar, calcium disodium, sorbic acid, natural flavors, and vitamin E. Some brands have distilled vinegar, spices, high fructose corn syrup, and potassium sorbate. Again, no milk is found in it. 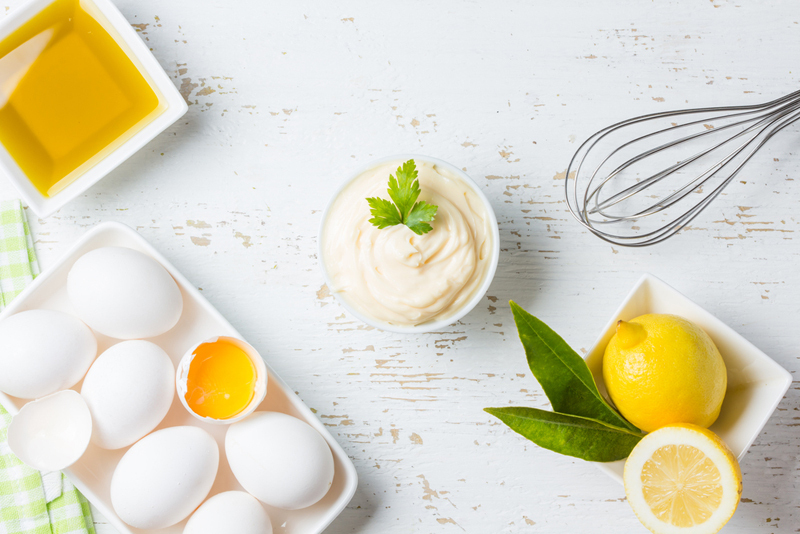 Lastly, organic mayonnaise is made of water, organic soybean oil, organic distilled vinegar, organic whole eggs, organic egg yolks, salt, organic lemon juice concentrate, natural flavors, and organic dried cane syrup. Like those above examples, there is no milk found in organic mayonnaise, which makes it not a dairy product. What Are The Advantages and Disadvantages of Mayonnaise? Did you know that mayonnaise is made of mostly fat? Homemade mayo contains around 85% fat while the commercially sold ones have around 70% to 80% fat. However, you should not be alarmed because the fat found in mayo is considered the good fat due to the fact that the edible oils came from plant sources. Consuming mayonnaise will give you vitamin E and it is rich in antioxidants. With this, it might just help you in preventing stroke and other related heart diseases. 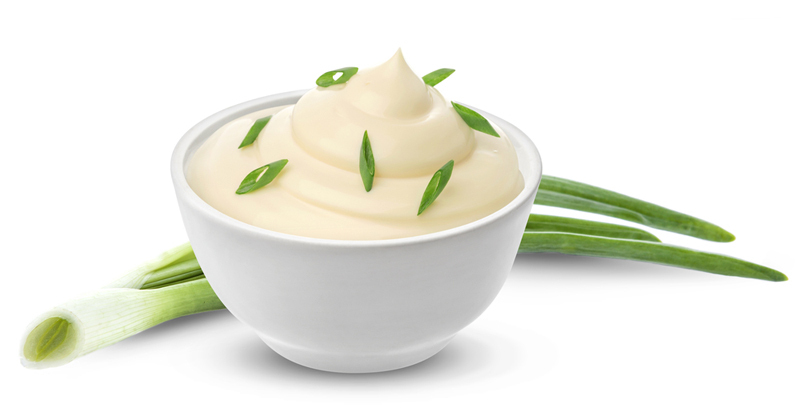 In addition, because of the high-fat content, consuming mayo helps in nutrient absorption. Another advantage of eating mayo is that it ensures that these nutrients would not go to waste. 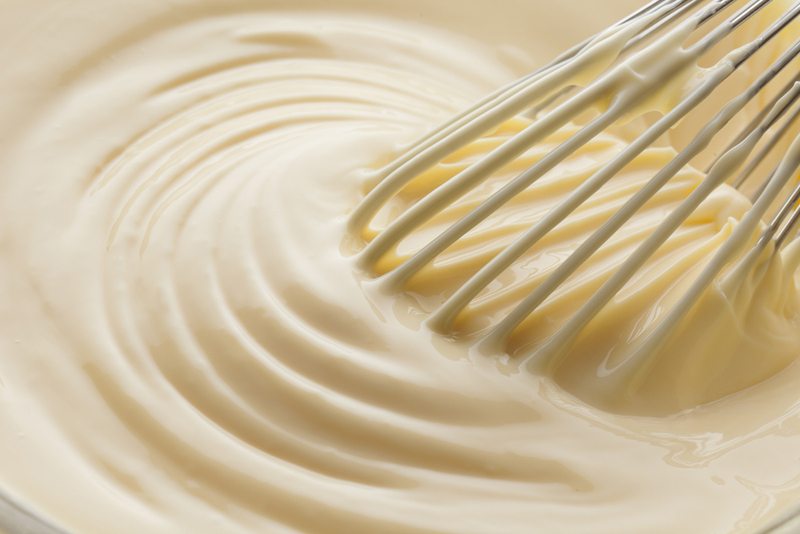 While consuming mayo has a lot of advantages, it also has a fair share of disadvantages. As mentioned above, it is notorious due to its high-fat content. To add, the soybean oil used is likely extracted from genetically modified soybeans. Mayo’s fat content mixed with the abovementioned soybean oil might be a risk especially if consumed in excess. Regular mayonnaise is also known to have high-calorie content; with a tablespoon serving that contains around 100 calories. Commercially sold mayo is also high in sodium. To better understand, if you put mayo in your typical turkey sandwich, it could easily double the calories, fat, and sodium contents. What Are The Most Common Uses of Mayonnaise? Mayonnaise can be used for a lot of things aside from being a delicious condiment to your sandwiches. It can be used as an alternative for butter, especially for grilled sandwiches. It can also be used as a substitute for egg when you use it for baking. Lastly, mayo can take the place of tofu when you use it as a salad dressing, sauce, or dip. Surprisingly, mayo can also be used for non-food related applications. This would include the following: it can strengthen fingernails, as well as repair damaged cuticles. It can also help in skin exfoliation and get rid of lice. Lastly, applying mayonnaise on the sunburnt skin may help soothe the area. May is not considered a dairy product and people who are lactose intolerant can consume it. It does not have milk in it, based on the enumerated ingredients for regular, light, and organic mayonnaise. Consuming mayonnaise may be beneficial for your health if taken in moderation. It is rich in vitamins and minerals and its high-fat content ensures that you absorb all the nutrients. It also has disadvantages such as high fat, calorie, and sodium content. You may use mayonnaise as a condiment to your sandwiches, sauce, or dip. It can also be used as a replacement for butter, egg, and tofu.